I am in the middle of writing my talks for camp this summer. The theme is “Freedom”. I have had so much freedom this past year to show who I am. It has changed me. It has made me realize how fortunate I am. I know that not all people with disabilities are given the same opportunities that I have been. I see how much hope I have because I have been given a life that is worth living. I am using some of my songs in my talks. I also have a couple of DVD’s that I am inspired by. The song that Susan Boyle sings on her CD, titled I am Who I Was Born to Be, is one of my new favorites. My Mom loves that song too and usually cries when she hears it. Most people wouldn’t choose a life that looks like it has so many limitations to others. However, I am content most of the time because I know that while I can’t share all of my experiences with others, I have a blessed life. I have an open heart and I love very well. I pray often. I have positive thoughts. I hear songs that I will compose. I think kindly of the people who provide care for my needs. I know that many girls with Rett are like me. They are the people who go unnoticed and have so much to offer. They see things that go past many people. Thanks for reading my blog. I miss having people leave comments. I hope you leave one today. I have had an interesting month. I wanted to take a break from writing because I was feeling eager to be outdoors. It’s been so beautiful here and I have enjoyed the flowers on our patio and deck. I’m writing this while standing in my stander on our patio. I had an event this month for my music. It was an art gallery reception. The people were very kind and interested in my music. It was fun to meet the mayor of Minneapolis. She was so thoughtful and wanted to help my music be heard by more people. Gregg visited with Sharon Sayles Belton, who was the mayor of Minneapolis. My music therapist, Karen, shared with the people how we compose my music. It’s been quiet lately. I have not sold a lot of CD’s. I wanted to get them to Rett girls and their families. It was one of my dreams and wishes when we started making my CD. 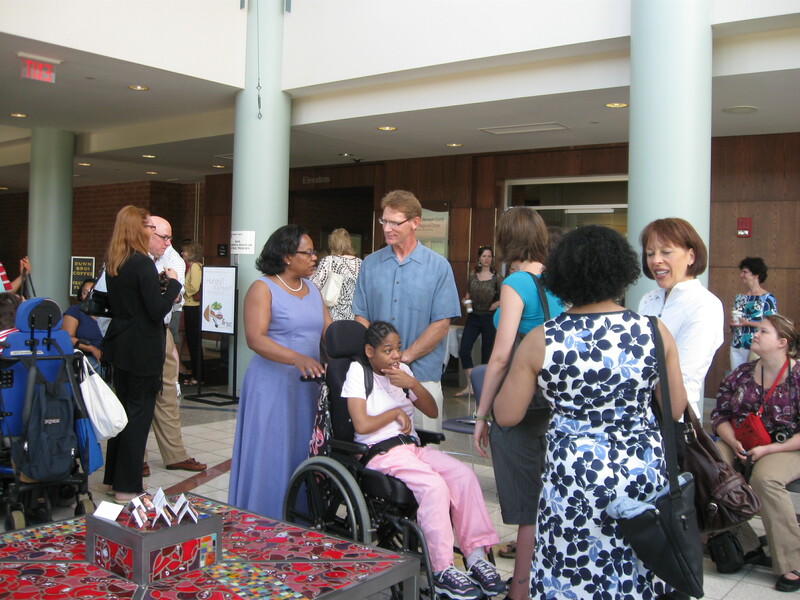 It was stopped by the Rett people who run organizations who are suppose to help girls and their families who have Rett. 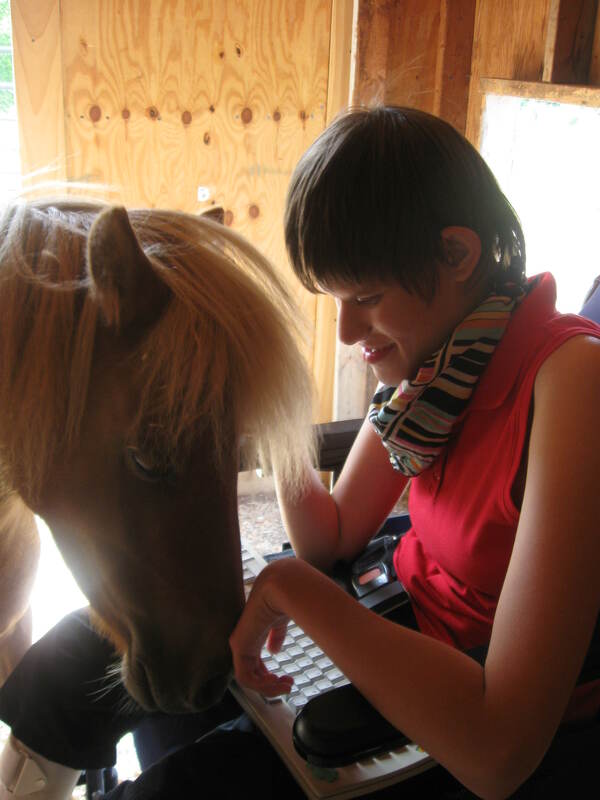 It seems that they don’t believe that someone with Rett Syndrome could compose music. I am so sad about that because they say that their wish is for more opportunities for Rett girls. A cure for Rett Syndrome is their biggest goal, but it seems that they are afraid of giving false hope to Rett families. (That’s their words, not mine) It’s so amazing to me. I am not any more intelligent than I have been allowed to be. 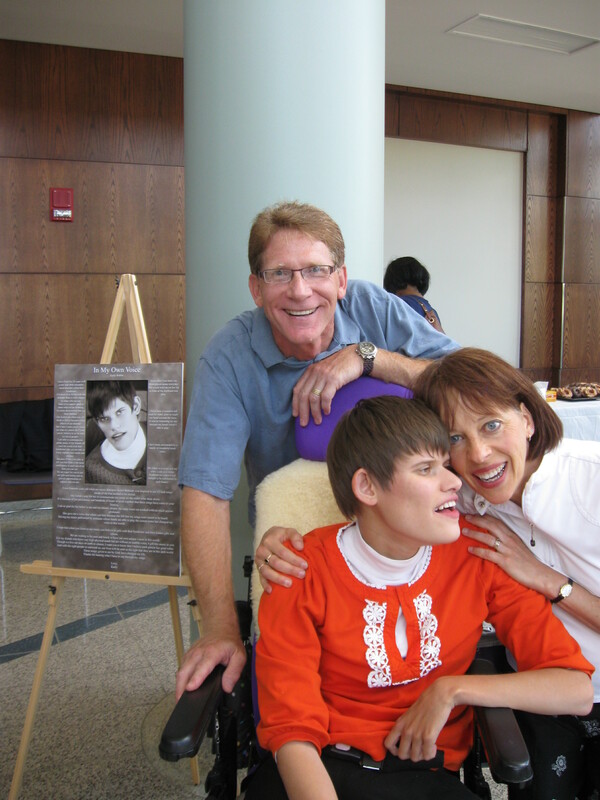 I was surrounded by family and friends and others who believed in my intellect and saw Rett syndrome as a physical challenge. I am so sad for the many girls who don’t have that. I am positive that they are being limited, not by Rett Syndrome alone, but by the belief of others. Can you imagine living like that? I wish I could contact every Rett girl and give her my CD. If they heard it they would know that it’s from me. It’s not something my music therapist made up. I wish to send hope and a positive future to all of them. But until the group that says they are trying to help us, realizes that they need to give us the best opportunities while we wait for them to find what they say is a cure for Rett Syndrome, it is limiting and cruel to assume that I and other girls with Rett are lacking intellect. I felt like I wanted to say this to my friends on my blog. I hope you continue reading my story. I have many wishes and hopes for Rett girls and their families. I know there are many challenges in our lives. I have a lot of them myself, but I don’t live like I am incapable. I try to live the best I can everyday. I struggle like all girls with Rett Syndrome do. I send you a big hug today.